Are you implementing content marketing for your online business? 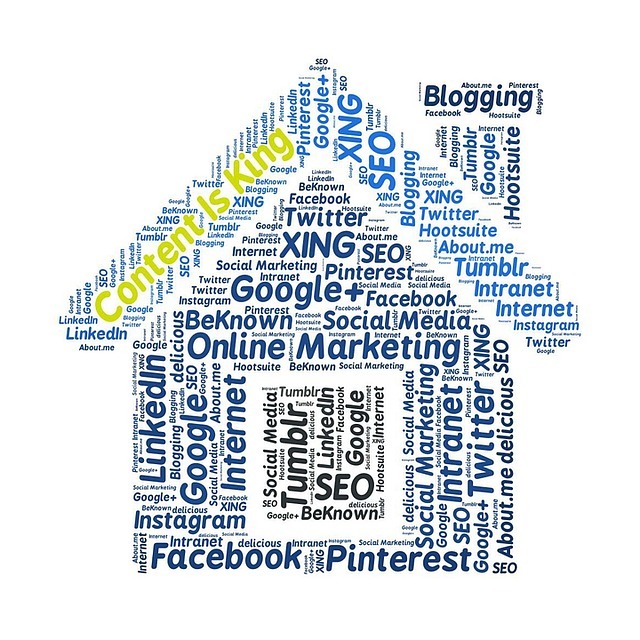 The content is a crucial tool which is almost used for everything from our business activities. Want to expose the business to more audiences, you’ll need the content. Want to sell those prospective any of your products, you’ll still need the content. Even every single of the marketers and bloggers understood the benefit of using the articles for marketing the business, but they still cannot affect the best practices for content marketing. B2B content marketing research revealed that 8% of marketers have the daily content schedule, 36% have weekly, and over 11% have biweekly. However, only 44% of the marketers were effective at using content, and 26% were almost at all effective. Different and typical marketing mistakes involved in implementation caused 26% of marketers as well as you couldn’t affect the marketing purposes—planning and practicing mistakes. Today, In this post, I’ll talk with you a small part, but will share with you the most important and the popular mistakes which bloggers and marketers do—the wrong ways to optimize the images for content marketing. Despite compiling headlines that transform, description, and the introduction of the article, the image is an essential and significant key that enhances your content marketing. It’s the most fact which easily attracts human responsiveness when you’ve optimized it the right way. Think about when the article appears on social media platforms, Image search, and when a reader is reading it. What are you thinking regarding your images, anyway? Obviously, I’m thinking my images are appearing friendly on different platforms such as Facebook, Twitter, and Pinterest. What’s more, I think the image speaks to the readers and as a result, is clicked by the readers to read the full article. Once again, I think that the images push the readers to start and finish reading plus turn them to hit the share button and spread the information to their friends. Do you believe an image can do what I said in the above paragraphs? Well, You will believe yourself when you will optimize your images correctly and get the better results. The visual content statistics from HubSpot told that colored visuals increase people’s willingness to read a piece of content by 80%. Content with relevant images gets 94% more views than content without relevant images. 73% of content creators plan to prioritize creating more engaging content in 2016, and 55% plan to prioritize creating visual content. Although many fortune marketing companies and expert bloggers have proved the imperative of using the image in the article, the majority of the newbie and even intermediate bloggers still keep the popularity of the fault. During the month, I’ve read a variety of blogs and found several slips which injected a virus into your marketing activities. AND here, seven wrong ways to optimize the image for your content marketing. This’s the most popular mistake which frequently existed on newbies’ blogs, but sometimes, accidentally happened to the intermediates’ and experts’. Negligence in finding relevant images for your post will make the article lose much attention of readers. You, please do not follow this slip, but if you do, I swear to the god your blog will die. For sure, I’m not joking. The snapshot belongs to a sponsored post on my new blog. It was a low quality sponsored review hence I intended not to promote the post. I skipped the image optimization and placed at all image. I don’t understand what the advertiser’s opinion, but he might want only a backlink from the post; thus I gave him what he wants. Hope you or your webmaster aren’t going to follow the advertiser. Otherwise, you’ll waste decent money for running none effective SEO campaign. I tweeted and shared the article few times to social profiles so the post can get more traffic, was not able to share the content on the sites like Pinterest and Flipboard. As you can see, the article only has 100+ shares of Twitter (actually, few additional social shares, but JS minifying caused error counting) with no comment. This below image is another sponsored post. The sponsored article has almost similar quality but is better than the previous advertiser. It was acceptable to me. Thus I created an image for the sponsored post and promoted several times on social media. A single image made the post much better than the previous. It got over 1K+ social shares and few comments. Yeah, it’s much more conversion than the previously posted sponsored post review. I understand many of you can’t afford to pay for premium image stock, but you can get images for free some sites. Many online tools are available for free and you just to write the title one time, it’s enough to get an awesome image for your blog post. Not making sure your image is visible on social media. It isn’t a monster which will kill your blog, but in obvious, will reduce your social sharing and traffic. Sure, You aren’t going to love it. I’m not sure what the exact problem is. However, through my personal experience, this can happen while saving the post to the drafts. Once you wrote an article and saved to draft without an image, then you added an image(s) and hit publish button. That’s it. It’s the error time. You can avoid the problem by just adding at least an image before it saves or publishes button. In honesty, I don’t have to concern about the error as I’m using Easy Social Share Button Plugin for WordPress. The plugin will automatically fetch an image and description tag when I didn’t optimize. The alternative way to solve the problem, you’ll have to fetch new images information manually on Facebook Debugger Tool if your social shares plugin doesn’t work. On sharing debugger, past the URL and hit Debug button. Make sure you saw something similar to the below screenshot. What did you know about the images? The image is like the human beings. It has different emotions and characters, and different images attract different audiences. Maybe I’m wrong, or maybe I’m right. Should I suppose to say your audience have different emotional and characters? If you’re complicated or confused what should I say, you’re tempted to blame JeffBullas as he told me the emotions of the images. Just repeated what he said. Though. Before creating or placing an image in the article, you must think about your readers—to Identify their characters and emotions. Anyway, what did you know related to your audiences? Are most of the visitor to your website or blog are males or females? Are they the college student or professors? What kind of images do they like such colors, designed or something else? It’s much different between male and female or between the old man and adult. The image can’t satisfy the whole community, but a small group. Identify the ideal audiences of the community and offer what they’re anticipating. The considerable the way to accomplish the purpose is to make A/B testing of the image optimization such as recoloring and use different characters or emotions. Mostly, it’s a mistake when optimizing the images for content marketing. Found a related image or thought it’s a relevant one and then put it in the article without editing or adding any context. You’re wrong if so. Which one do you love, by the way? Find few ways to customize your image such as adding a title or interesting quote on the picture will gain much more attention. I’m a hybrid blogger so I can easily edit the image using Adobe Photoshop and other photo editing tools. However, if you can’t use any photo editing software, you should find some online tools such as Canva as it’s effortless to create good images by using it. Are you using a single dead body for optimizing your images for the content marketing? I can’t say you’re completely wrong but in the most cases. Google is enjoying longer content, and personal experience, the longer content get much more conversion than short content form. I often publish from 1500 to 5000 plus words, and even 8000+ in some cases hence I do need 3 to 5 images in order push the reader to stay reading. Also, to get more traffic from social media, the image has to differently appear on different platforms such Facebook, Twitter, and Pinterest. The most of the users on Facebook, Twitter, Linkedin, and Google+ love landscape while Pinterest’s is preferring portrait. Did your image dynamically change its appearance on different platforms? Yoast allows customizing the different image appearance for Facebook and Twitter as easy as hitting a social icon on left-hand-side of your SEO panel. An Image is not useful unless it’s a healthy. Oh, god! What do I mean healthy image? Using various visual contents attracts reader’s attention and increases more conversion to your blog, the images, however, aren’t going to help, but damage your conversion rate. Image puts a heavy stone on your blog and makes it steps like a turtle. The readers aren’t enough patience to wait for your blog loaded and often, switch to the better blog. Images, in the meantime, damage your blog traffic. Be sure, your visual content is an engagement machine, but not a heavy stone. Optimize and compress your images to speed up your blog, and the recommended file size should be less than 70kb. I’m a serious blogger who very much cares about image optimization so always do it manually. The marketers claim that Google is now clever, but I don’t think so as it can’t read or identify the meaning of the visual content. Help Google to read and identify the relevance of images, and if you’ve done this right way, you’ll get extra bonus traffic from Google. Placing the keyword in the title tag, filename, and image description is enough to be done. However, the marketers do this mistake when SEO image—they only used a single keyword for every image. The visual content is pretty similar to the article, and it has to be natural. Using variety and relevant keywords in title tag, description, and file name help to get more visible on the result pages. What’s more, it helps the images appear friendly on social media platforms when the readers share your content. Another experience when my AdSense account was disabled in 2013, 2011, or 2010. Maybe, I’m not sure. Two possible problems involved in disabling. First, I placed double 360 x 280 ads over the post hence it made no white space on the mobile device. Second, I used free Google images with no copyright information, so I accidentally published copyright materials. How to monetize Google Adsense ads perfectly? I didn’t even think that image was a big problem, but actually, it was. You can feel free to find images from Google, but those have no copyright information. If you don’t want later to contact a lawyer, please find reliable image sources for your content. Here is a list of sites to find free stock images for your blog and website. Research great topics and write educational or asset contents for the reader is what you must do for getting more traffic to your blog. However, making your content relevant to the users and push them to stay on reading is quite challenging. Create a variety of resources and visuals for your post to make the readers feel relevant and want to continue reading your content. Do the image optimization properly, such as compress and using relevant keywords in images helps to enhance SEO content, so Google and readers will appreciate your blog. What’s more, using CTA such as quote and friendly text to ask the reader to share and tweet the content will bring much more traffic. Everything came with pros and cons. An image can help drive more traffic, but also can damage your business. You might need a lawyer or shut down your blog, so please be careful in choosing the images for your content. If possible, spend some budget for images stock or equipment to develop better visual aid. The above are the ways for how I optimize the images for content marketing but thought there must be a hundred ways that I didn’t experience. By the way, you didn’t tell me how you work for creating visual content. Hit me a comment, I’ll appreciate in exchanging knowledge with you. Oh!… wait. Do you love what I wrote here? If you do, why don’t hit a share button to let your friend know this asset content? AND please subscribe the blog or follow me via social profiles to get more useful contents like this. Kimsea Sok is blogger & freelance writer and an active contributor to blogging, SEO, social media, and marketing topic. He helped many newbies to become the expert blogger through his 7+ years’ experience and million mistakes of blogging. Follow Kimsea on Facebook, Twitter, Google+, and LinkedIn. Thanks for this share. It’s indeed a wonderful article to make new bloggers see the ways in which optimize content images are actually right. Newbies rush in publishing articles after articles in the post. In the process, they often forgets to use related images and even so not use tools to compress or resize them – which is indeed not healthy. The quality of featured image or first image that appears as post thumbnail while sharing in social media determines how many of people would open and read your post. I feel it’s important to focus on this as far as improving traffics via social media is concerned. Sherab, I first have to thanks for commenting the post. You’re right. Image is crucial visual aid for content. The image could make people relax and feel relevant to the content. It can speak dynamic language so many different nations from the globe could easily understand its language. When I was newbie to blogging, me too, I careless with optimize the image for my blog post. As I wrote in the article, I lacked of getting more traffic and even get penalized by Google Adsense. In short, put more eyes on image optimization could help to get more traffic and better conversion. It’s the fact for capture more email to your list. Good stuff! Content marketing has a bright future. Companies only can be successful with content marketing if they have a solid content marketing strategy. These are essential elements of a perfect content marketing strategy. You’re right. The growth of content marketing trends made companies and marketers scare and surprise of the change. Actually, there are many strategies involved, but in this case, I though the image optimization should be one of the most important. Thanks for sharing your thoughts over the article. I read articles like this and my head spins from all the things i have to learn. You have given some really useful tips, thank you. You know what? The most enjoying time of writer is to read a compliment from the readers and knew that the benefit from the content. You’ve really packed the advice and tips into this article and given us a lot to think about – thanks! It’s helpful for new bloggers to gain a sense of best practices so they can get off on the right foot. Eventually, though, we each have to muster the courage to find what works best for us to build our unique brand. Take Leo Baubata for example. His top rated blog Zen Habits uses no photos whatsoever – it’s text on a sea of white. It probably wouldn’t work for a new, unknown blog, but it’s become an effective signature look for him. Well. You’re right. We, bloggers have to test many strategies and learn new knowledge to build a better brand of our business. The above I wrote are the personal experiences what I got during few years with blogging. Hopefully, the newbie will gain benefits from reading the content. Honestly, I have no idea regarded to your example as I’ve never get on his blog. Thanks for sharing this, I’ll find some time to learn more about the blog you mentioned. Finally, thanks for your sweet word. I’m glade you love the content. Content marketing is a minefield and I can’t express enough how much I value this advice. I’ve passed it on to several other people in the same boat although it can be disheartening to realize how much I still don’t know. Thanks! I’m glade to hear that you can benefits from the content. Never mind about the content marketing. Just keep with writing and you’ll more related to what you don’t know. Thanks for sharing all these useful tips. Some I knew and some I didn’t, so I appreciate the time you spent on sharing these! Glam, thanks for stopping by and commented the post. I read your blog and also found some awesome article as well. I optimize at least 1 image in my posts to align with the keyword or key phrase I’m using for SEO. Easy way to get all green’s via the Yoast plug in which increases your ranking in search engines. I also have image crunching done through a plug in – forget which one – to increase load times, and yep, I finally have a CDN too to speed up my site, moving images offsite to a server. How are you doing today? Hope you’re doing great. It’s awesome to read your comment here. I knew you’ve done it right way as you always do the great job. LOL! Yeah, I found your blog performance is not faster. The CDN service is great for improving better speed. Congrats, you chose the right. nice to see you here on Robins blog. often while commenting that they do not show sometimes. I am sure your post can help many to do it right. Me too, I’m glad to see you here. Yes. It’s the most common mistake for image optimizing. As wrote in the above article, the mistake could reduce the traffic from social media sources. It’s a really bad idea to share your post to social media without fetch new image information. What’s more, hope the bloggers who often faced with the problem can read this article. Honestly, I want them to avoid the mistakes. Hi Kimsea, I hae visited your blog and it’s really fresh and inviting. I don’t use images, I used to but decided not to after a while. I like the clean look of my blog and images spoil that. They fit very well on other blogs but I like mine without. Missed opportunity? Maybe, but each to his own. Well, I read your blog post and mostly it’s a short form article. It isn’t a big matter to skip image as you article isn’t too long. However, you should thinking when the article appear on social media. It’s not going to be friendly and attractive to the audience. I’m sure, you chose lots of traffic. Optimizing image proper way is really very necessary thing.Recently optimizing images on my blog I got great boost of organic traffic actually.So yes it’s really a great and helpful article for true.Keep it up bro. I think optimizing images is as equal as creating a good content for our blog. Especially compressing the image should be kept as the top priority of every blogger. As you can, if we check the speed load of our site in google site speed checker, the most important google would say is, optimize and compress your images…. That really means, how important it is to compress the images…. Anyway, a great read for us…..
You have mentioned some great points here. While optimizing the images we should take care of the message. As we all know that the visual content can drive more attention and we should place some effective images in the posts. Yoast plugin can be so helpful for the people to show the images on different social media networks. How are you doing today, dude? Yes, you’re right. The visual content is so important for content marketing in this new generation. Majority of professional marketers are concerning about how and where to create visual content for their blogs. For sure. Yaost is great plugin since it allowed us to have different image appearing between Twitter and Facebook. However, there are many potential platforms such this plugin cannot optimize. The recommendation is to spend a few buck for social media plugin such as Easy social share button. We cannot experience every part around the globe. Well. Just share what I learn from image optimization of my story. Hope one day to read yours. Oh God, a healthy image. I laughed at that. Excellent article on images. Lots of information on using images. Great reference to keep. Will share this Great job. Thanks for your share Kathryn. Thanks for helping me to respond the comment. What’s more, again thanks for publishing the article on the blog. I’m just more than appreciative of your support. Really? It means I’m being success in writing an engaging content and entertaining my audiences. You know? I’m trying to find great ways to make my readers laughts, but never heard any of that. Thanks for let’s me know. What’s more, I’m so glade to hear that you can benefit from the article. It’s the most pleasure for writer to read the comment like yours. With optimizing other important things are relevancy and copyright. I experienced that relevant fresh newly created images got 30% more readers and search engines attraction. So personally I always try to create my own image whenever its possible, sometimes I brought them from public stock sites like flicker, as Google hates use of copyrighted contents. Awesome! You’re done the right way to make your business better. If you afford to pay for premium make stock or create you own unique image, you’ll get much more attention to your content marketing.